(Oshkosh, WI.) The League of Women Voters of Winnebago County and Oshkosh Community Media Services (OCMS) will present two candidate forums on March 10th. 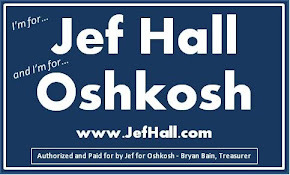 The first forum will feature the Oshkosh mayoral candidates and be held from 7:00 – 8:00 p.m. The second forum will feature Oshkosh Common Council candidates and will run from 8:00 – 9:30 p.m. The candidate forums are open to the public and will be held at City Hall (215 Church Ave.) in room 404. Questions for the candidates may be submitted in advance to league@lwvwinnebago.org or by telephone at (920) 231-4770. The forum will be carried live on OCMS CitiCable 10, live on WOCT 101.9 FM, and video streamed live on the internet at www.OshkoshCommunityMedia.org. Replay times for the forums will be posted on www.OshkoshCommunityMedia.org. If you would like more information, please contact OCMS Communications Coordinator Dean Leisgang at (920) 236-5269.